Wheels and Tires - Ford F150 Forums - Ford F-Series Truck Community. I love products that spray on and go to work as soon they touch the dirt. The P21S Wheel Cleaner and Amazing Roll-Off do just that. Of course you still need to scrub, but when the product pushes the dirt off it makes life easier. 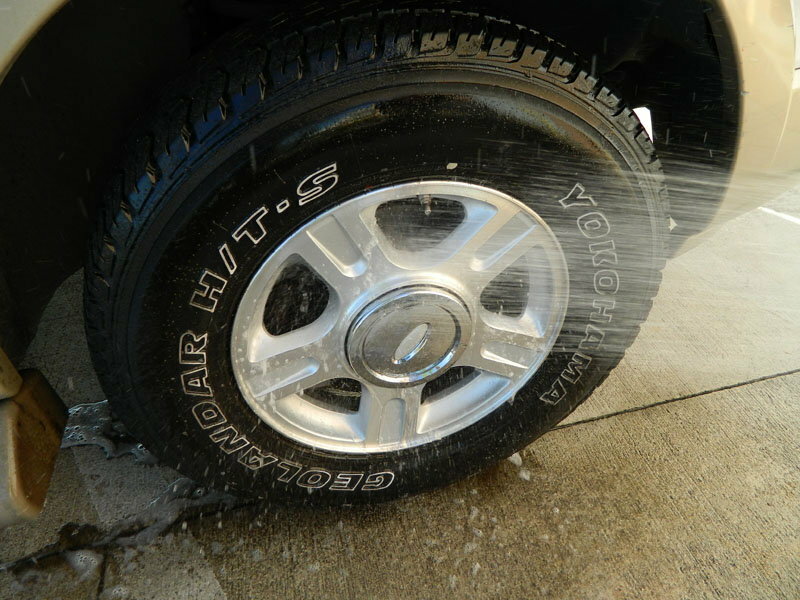 P21S Wheel Cleaner is water-based, non-acidic cleaner that is safe for all types of wheels. Amazing Roll-Off was originally made for boaters to clean canvas sails, it was found to be able to do so much more. It is also acid free, so you don’t have to worry about damaging you coated wheels. 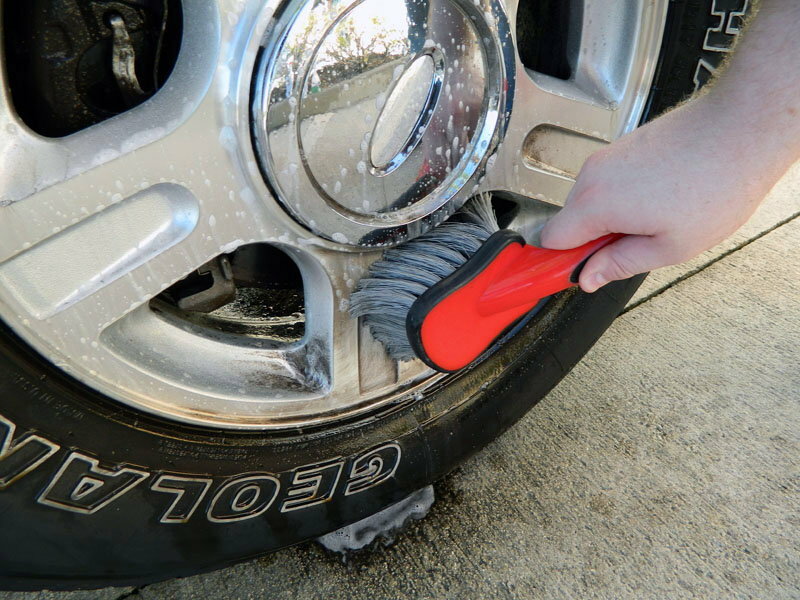 The Daytona Speed Master Wheel Brush works great on wheels with the wide wheel base. It has a flexible core that allows you to scrub deep behind the spokes. The soft, nonabrasive bristles allow you to work without worrying about scratching. For the face of the wheel I like the Mothers Wheel Brush. The thick soft bristles on the brush knock the build up off with ease. The longer you can wait between cleanings is best. Coating the wheels with the Poorboy's World Wheel Sealant will enhance the shine and keep them cleaner longer. It leaves behind a clear barrier against brake dust, road grime, and other contaminants that may cause damage to your wheels. 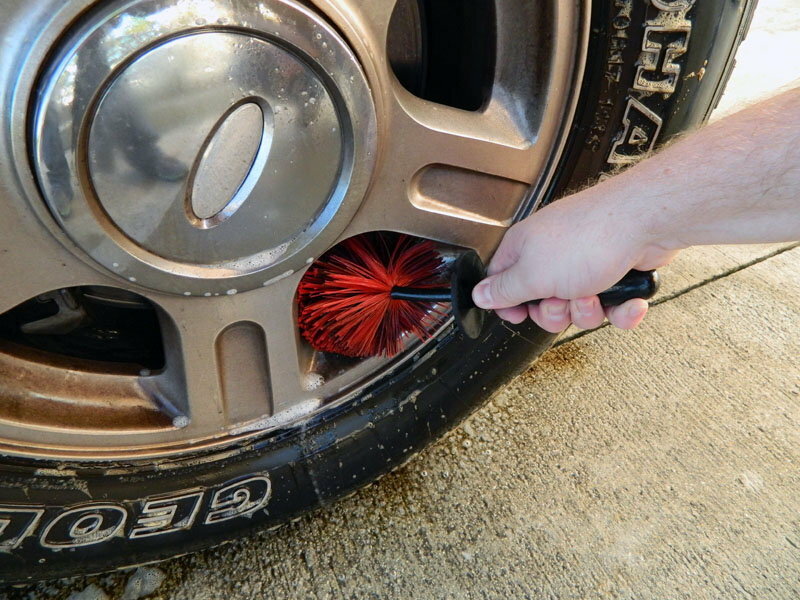 Poorboy's World Bold N Bright Tire Dressing is a great, water-based dressing that gives a great shine without the greasy mess. If you have white walls or lettering on the tires this is the product you want to make the stand out even more. If you prefer the really high gloss shine on your tires, you can layer this to make it really pop. 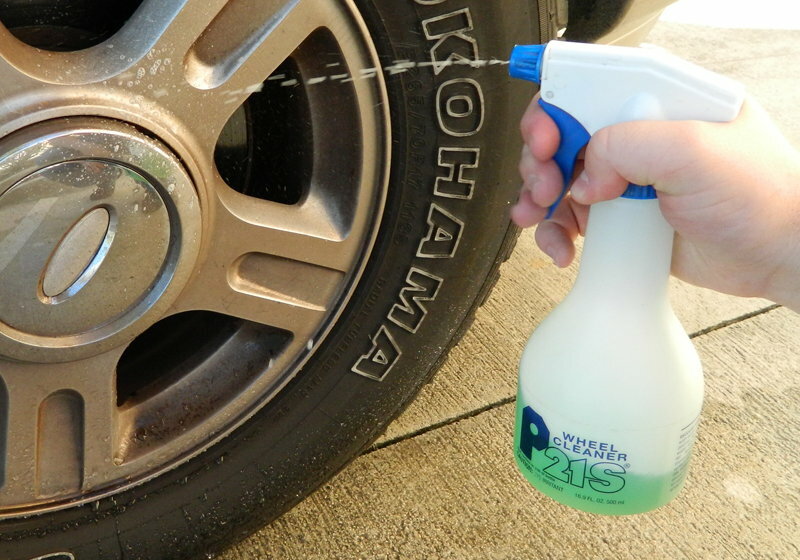 Spray P21S Wheel Cleaner directly onto the wheel. 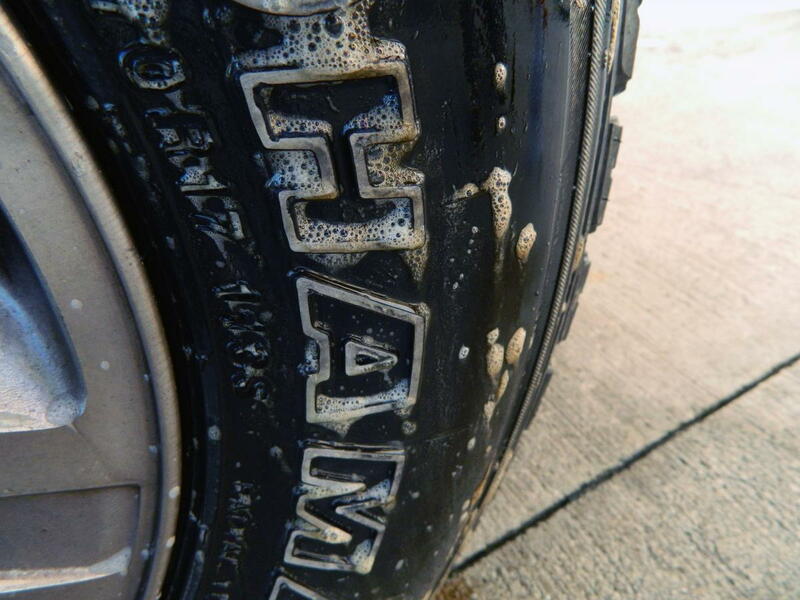 Make sure the wheel is cool before you start cleaning your wheels. If they are to hot the cleaner will not work properly. 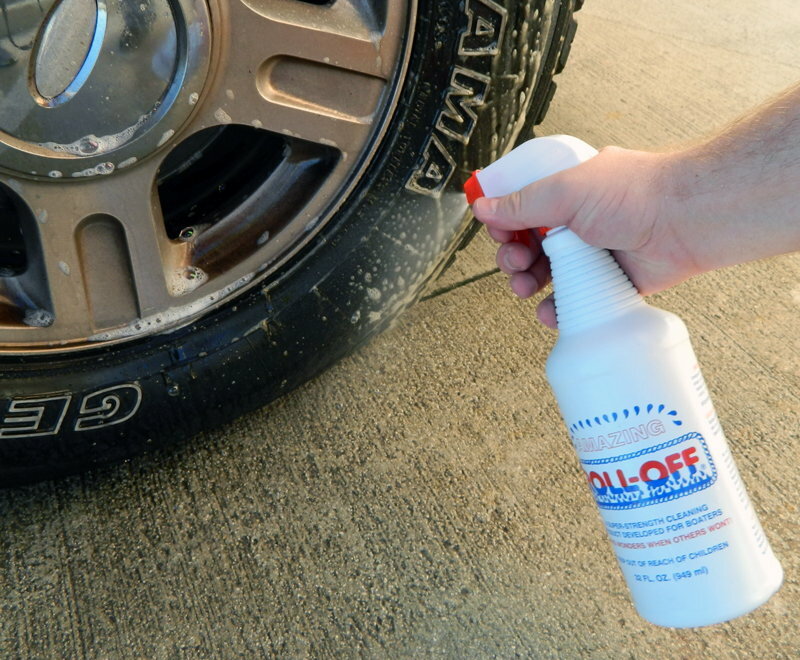 While that dwells, I like to spray the tire with Amazing Roll-Off. Let it take care of the dirty tires while I clean the wheels. All of that dirt and road grime dripping off the tire. The flexibility of the Daytona Speed Master makes it easy to get behind the spokes. Soft bristles on the Mother’s Wheel Brush take care of the face of the wheel. Rinse all of the brake dust, road grime, and dirt away. The finger pockets make it easy to apply an even coat of Poorboy’s World Wheel Sealant. And a soft wheel towel to remove the residue. Spray the tires with Poorboy’s World Bold N Bright to bring out the lettering and give them a great shine. Use the tire applicator to the dressing around evenly and it helps to reduce build up eliminating the sling. A few easy steps will give you great results.